The collaboration between the tech behemoth and the Maryland researchers expands the scope of Global Forest Watch, a satellite-driven mapping tool that tracks deforestation around the globe. The new satellite analyses are surprising to many and demonstrate the continuing need for rigorous forest monitoring outside regions of traditional deforestation concern. Sizer cites rubber plantations in Cambodia as an example of such governance issues. A booming rubber industry needs space in which to operate, and wild forests are often the obvious candidates for clearing plantation space in the Southeast Asian country. But proposed rubber plantations are often covers for illegal timber operations, in which forests are cleared and the wood is sold and exported, but plantations never actually appear. 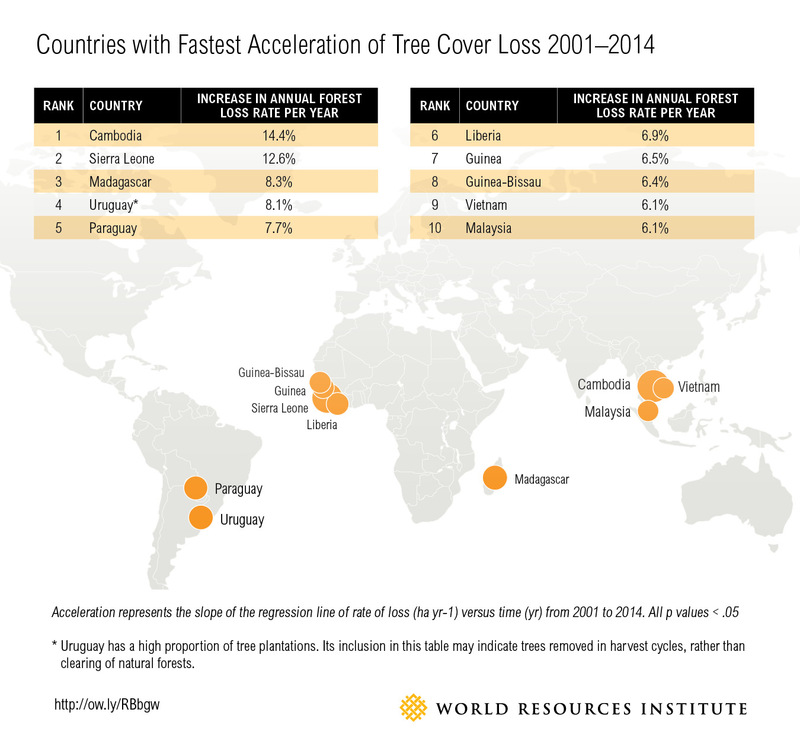 Since the turn of the millennium, Cambodia’s tree cover loss has accelerated faster than any other nation’s. Close to a half million acres of forest are lost every year in the country, with much of this loss coming from ostensibly protected forests. The research is the largest and most up-to-date global dataset for tree cover loss, and shows the promise of cloud computing to help authorities to root out illicit activity. Satellites can detect areas as small as 30 square metres now, updating global coverage every eight days to track changes, said Matt Hansen at the University of Maryland. The technology has revolutionised forest surveillance, which before relied on the likes of donor funding for countries to make forest inventories. Whether or not Google’s deforestation monitoring falls under Alphabet remains, like everything else about Alphabet, an open question.